Chinese messaging service WeChat has over 270 million active users worldwide at the last count — how do you compete against its overwhelming popularity? 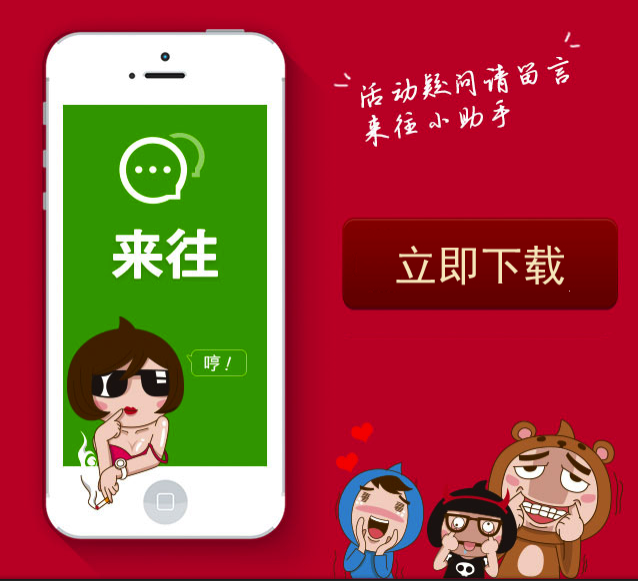 Well, Chinese e-commerce giant Alibaba is now paying users who refer new people to its chat app Laiwang. An update is being rolled out to Laiwang which will feature an “invite” button for users to refer their friends, Alibaba told TNW. Every successful invitation will see both the referrer and new user get CNY5 (about $0.80) deposited into their Alipay account, and the credit can be spent on any of Alibaba’s Tao shopping platforms such as Taobao. This latest initiative comes as Alibaba launches a CNY200 million ($33 million) fund to help traditional companies, online and offline businesses, the media, as well as individuals, to cement a presence on Laiwang. Paid referrals are but only one of the many ways Laiwang hopes to attract more users — last year, it rolled out an interesting initiative to stand out from the crowd, by sharing the profiles of 100,000 female models with its users. Alibaba announced its Laiwang app clocked 10 million registered users in its first month in November last year, still a long way to go before it even comes close to garnering WeChat’s numbers. However, with such aggressive marketing, Alibaba is obviously giving its all in the mobile messaging battle.